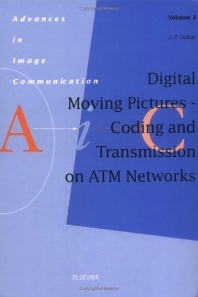 Image communication technologies have advanced rapidly in recent years and the book series, Advances in Image Communication is dedicated to documenting these developments. Third in the series, this publication contributes as effectively as its forerunners to the multidisciplinary overview afforded by the series as a whole. At the same time, it stands alone as a comprehensive synopsis of its own particular area of interest. the transmission on Asynchronous Transfer Mode [ATM] networks (packet-switching transmission media). It provides an in-depth view of the current state-of-the-art and endeavors to stimulate increasing research efforts for the future.